Coffee! It’s what gets our motors running in the mornings. 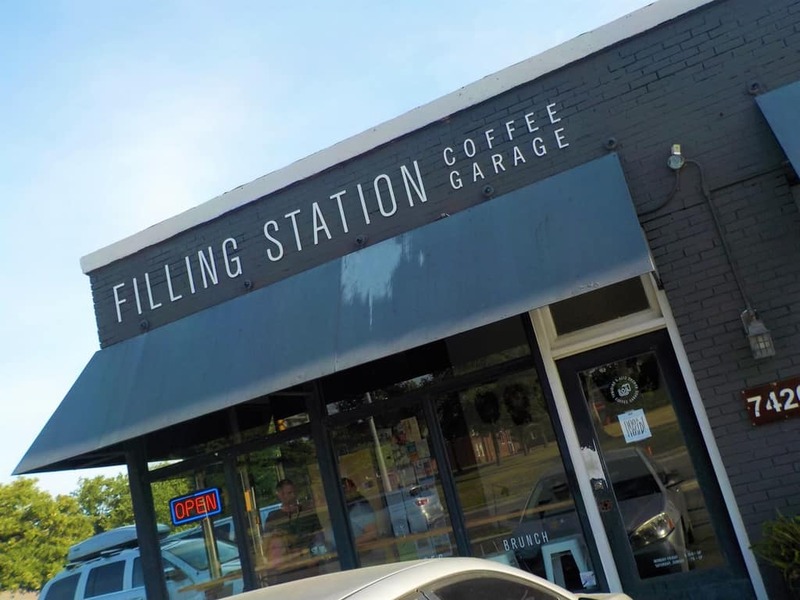 We dropped by the Filling Station, at 7420 Johnson Drive, to explore their space. Now, we know there are some of you who skip this potent potable, but for us it’s part of our normal routine. We are members of a collection of groups that focus on restaurants, dining establishments, coffee shops, and various other eateries. These are carry over from our previous restaurant blog, but they still offer plenty of information about spots we should visit around the Kansas City metro area. 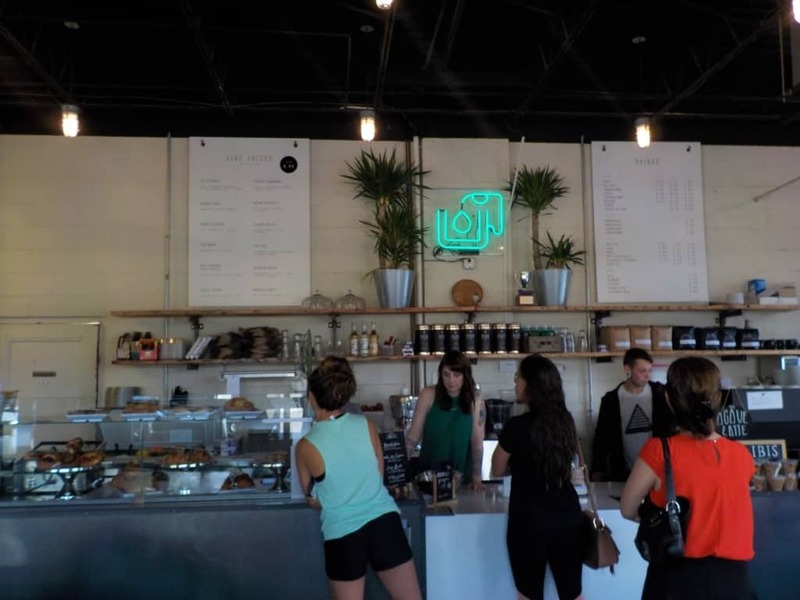 The past few years have seen a surge in new coffee shops, which is great for coffee lovers such as us. Filling Station is a local chain with three locations. 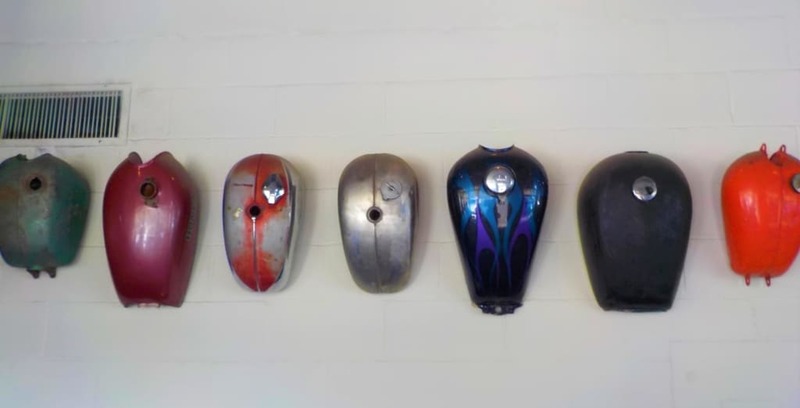 Currently, they are found in Westport, Midtown, and the location we visited in Mission, Kansas. Touting themselves as a “Coffee Garage” it is obvious what type of business the building used to hold. The large windows and open floor plan are a perfect fit for its new purpose. The Saturday morning we visited the sunshine was glowing through the huge southerly facing windows. This natural lighting makes the space quite inviting and comfortable. It certainly makes us want to linger over a cup of Joe and some conversation. 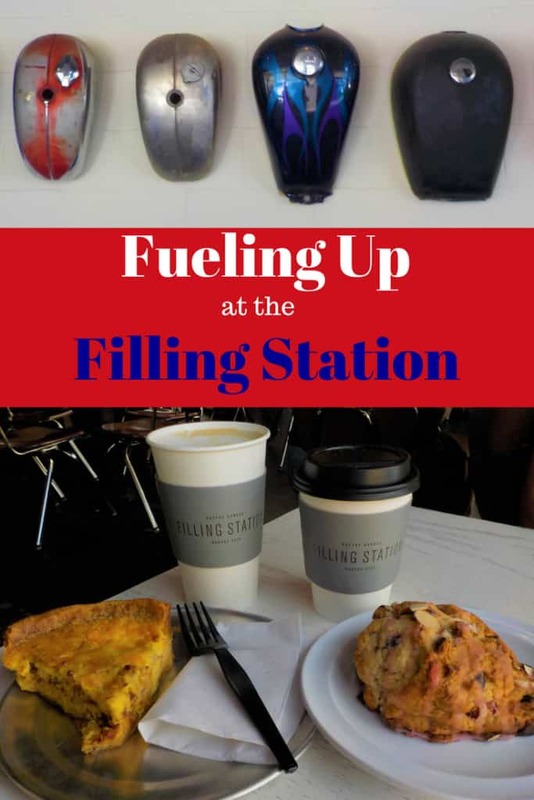 The menu at the Filling Station is minimalist, but don’t let that influence your opinion of the quality. Obviously, they have the hot drinks area well covered, but also offer up some interesting juice combinations. How about a cucumber, mint, and apple juice? Too minty, well then order up a sweet potato, pineapple, and lime juice for a tasty treat. These 16 oz. drinks are a great addition to the morning and offer a healthier addition to our coffee routine. Don’t be surprised to find a line at the shop, but it moves pretty quickly. We like to find coffee shops that include some delectable bites in their offerings. 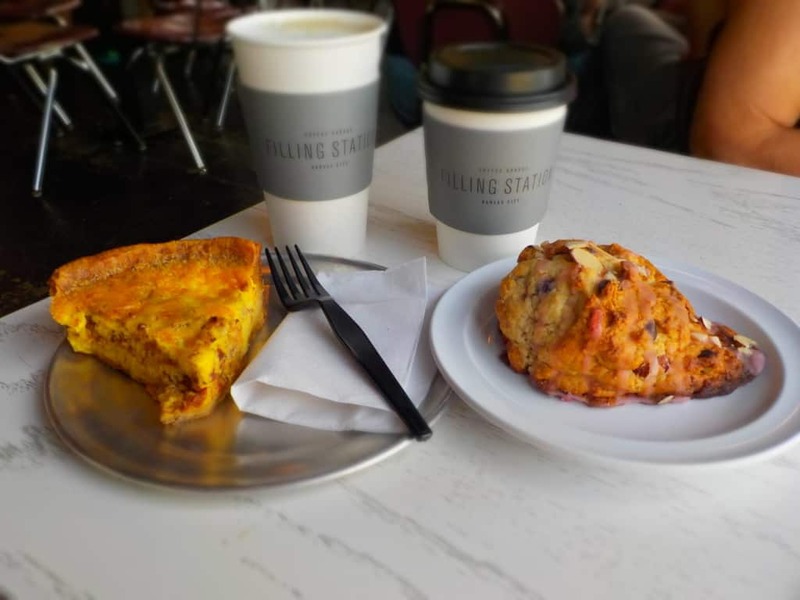 Filling Station has a handful of dishes designed to help jump start the morning. Our choices the morning we visited were breakfast burritos, quiches, bagels, yogurt parfaits, and a selection of pastries. Crystal is a huge fan of quiche, so I already knew where she was heading. They have a rotating selection and this day she picked one with bacon. I had to sample a bite (For the sake of the article!) and it had a nice firm texture with good flavor. I didn’t eat much crust, but Crystal ensured me that it was well made. For my morning start I chose one of their scones. This one had a combination of cranberry, almonds, and chocolate chips. It was a quite delightful flavor combination with plenty of each ingredient in each bite. With our bodies fueled up, we were prepped to head down to the Merriam Farmers Market for some shopping. Our search had been fruitful, and now we have another nice breakfast stop to add to our list. What other great coffee shops would you like to see us feature?